Take the adventurous Princess Elena with you everywhere! 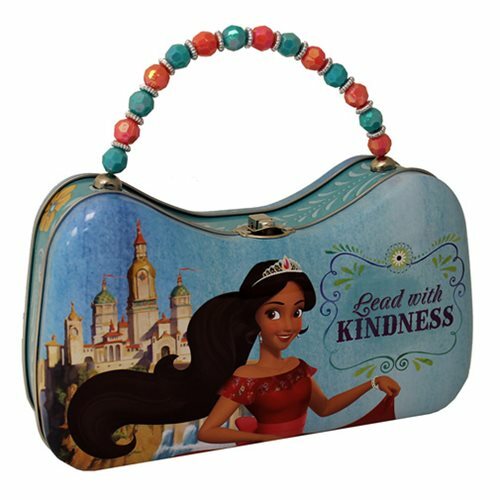 Based on the Disney animated television series Elena of Avalor comes the Elena of Avalor Scoop Purse Tin Tote! These awesome and useful storage tin is great for carrying your little treasures. Measures about 8 1/2-inches long x 5-inches tall x 3-inches wide.